The CES (Consumer Electronics Show), which takes place every year in Las Vegas, is a can’t-miss event dedicated to technological innovations in home electronics. First held in 1967 in New York with 200 exhibitors and 17,500 attendees, CES today attracts over 3,600 exhibitors and 170,000 visitors. This subjects everyone at CES 2017 was taking about include Artificial Intelligence, smart vehicles, smart objects, and new Man-Machine Interfaces (MMIs). At the 2017 edition, France was the country with the 3rd highest number of representatives, behind the United States and China, with 275 companies on hand. More importantly, France boasted the 2nd highest number of start-ups (32%). As for the Auvergne-Rhône-Alpes region, 54 companies made the trip to Las Vegas. Of the 30 French start-ups that brought home a CES Innovation Award, 10 are from the region. Kiwi Plug and its device that plugs into the audio jack on your smartphone, turning it into a universal remote control. Four companies from Saint-Etienne were on hand, including Nov’in, which displayed its smart cane. Navya launched the first fully autonomous shuttle on public roads in the United States, in partnership with Keolis and the city of Las Vegas. 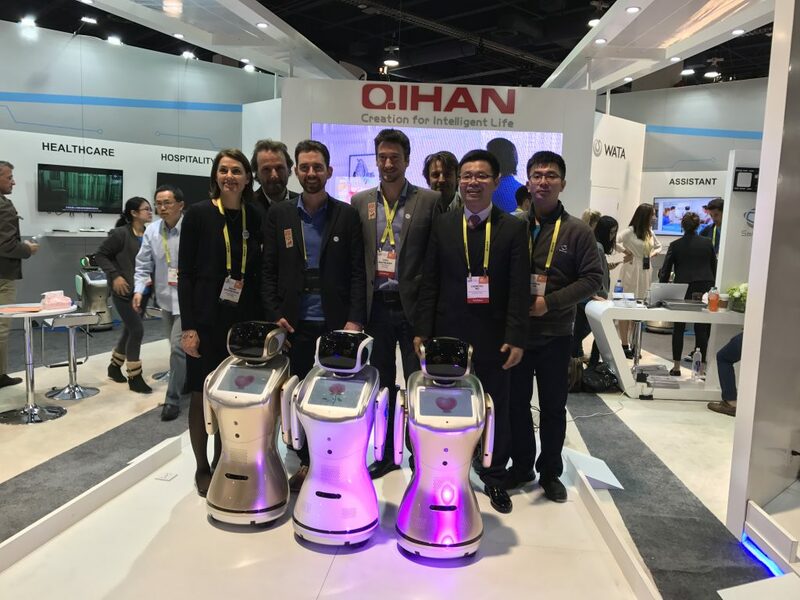 Lyon start-up Hoomano signed a partnership agreement with Chinese manufacturer Qihan Tech to develop its Sanbot interactive humanoid robot, which will provide assistance at stores, retirement homes, schools, tourist attractions, hotels and many other places. The Holi Bonjour clock radio, on the heels of its successful Kickstarter campaign, generated a strong buzz at CES and took home an Innovation Award. 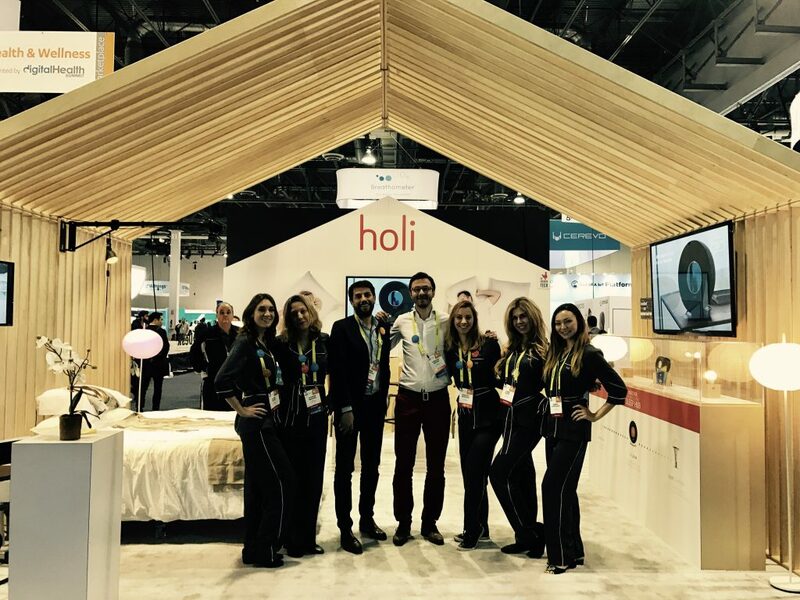 Aderly was on hand at CES Las Vegas in order to promote all the Lyon area has to offer and to detect company setup projects for the region. On the agenda: several meetings with companies and investors on hand at the event, as well as with French companies to explore possible synergy, namely with Cité du Design de Saint-Etienne and Manutech.